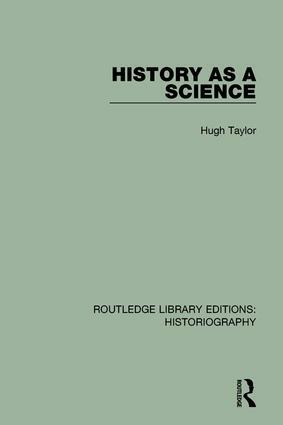 Examining why the study of history as a science was not as advanced as other disciplines, the author of this book, originally published in 1933, examines the arguments in the controversy of what the object of history should be. He then discusses the impact of the study of history on government, war and revolution . 1. The Inherent Cause of Failure 2. The Object of History 3. Government and the Inductive Study of History 4. War and the Inductive Study of History 5. Revolution and the Inductive Study of History 6. The Study of History From the Point of View of Conduct.